BRI has been working to set up a Thick-billed parrot research project in Arizona. We have obtained 4 Thick-billed parrots and placed them in captive breeding programs with respected breeders, each having bred Thick-billed parrots before and contributed to the Thick-billed parrot projects of the 1980’s and 1990’s. We have partnered with Jungle Island, in Miami and have combined our birds with theirs. We continue to seek additional breeding partners for this project. BRI Vice President Constant Woodman is transferring her PhD. program to Texas A & M to continue working on key elements of this project under direct supervision of Dr. Donald Brightsmith, PhD. The immediate goal of the project is to increase the captive population of Thick-billed parrots by providing zoos and private aviculturists a conservation project with Thick-billed parrots. Though there are estimated to be less than 2000 Thick-Billed parrots remaining in the wild in Mexico, currently many Thick-billed parrots in zoos are on no breed status due to no approved outlet for the offspring. 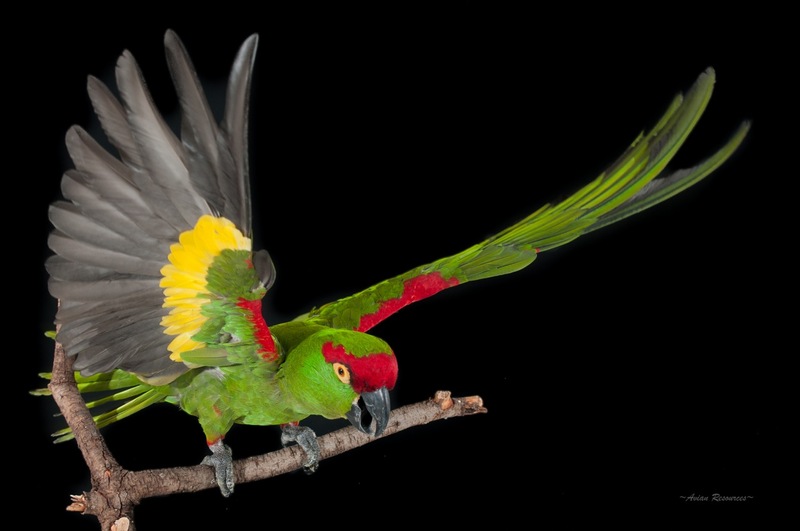 The intermediate g0al is to conduct reintroduction research within the US with Thick-billed parrots. We are currently seeking Arizona and New Mexico permits to posses and breed Thick-billed parrots for this project. Our long term goal is to establish “experimental, non essential population” status for a pilot flock of Thick-billed parrots to be established along the Mogollon Rim between Payson, AZ and Globe, AZ, under Section 10J of the Endangered Species Act. Click here to view interactive map of Thick-billed parrot sightings within the USA.